Does anyone have a picture of the ICU wiring harness connector from a USA spec. bike clearly showing the pin-out and cable colours? I would like to use a USA spec Ignition Control Unit on a EU spec. bike, so I need to confirm that the pin-out is the same or not. Honda VTR1000F 98 03 workshop service manual, free download! The workshop manual is really not answering the pinout...neither are the schemas that I've seen around the internet. I'm working on 2002 Firestorm which I purchased from an insurance company. This bike had HISS version ICU. I could not get the ICU responding so I bought from ebay an US-version (same year) ICU. With the US-version ICU I cannot get a spark. I've checked all the obvious and searched the web sites still no spark. I hooked USB-scope and could see the pulse generator is sparking fine and the power (Black/white) voltage is not dropping dramatically (Below 11,5 Volts) during starting so there should be spark. Today I accidently got spark when I connected my finger to the HISS receiver RxDT line. The spark was like the pace of my heart rate ... really ! So from that I started thingking maybe there is difference in the US vs EU ICU pinouts. In the schemas it looks the connections are identical (except for the HISS receiver) but are wires really going to the same physical pins...? You might be better off going to vtr1000.org for your questions. Since this is a U.S. site, they will have what you need. No one was trying to be rude to you. You might not know it but the HISS system was never released in the US. No bike in this country has that system so no one here has seen one. The reason for the referral to the UK site is that they have experience with that system. Anyhow. I know you don't have that *X#%!! :n HISS hence I'm asking. If just could get a decent picture of the US ICU socket where the wires can be seen I think it would be very beneficial for lots of people. Not only for me. I've been searching in the web but so far haven't found a decent pic or details of the US ICU socket. Mike, that's this point I think... he wants a pic and pin out of the US part and system..so that the US part may be adapted to his non US broken HISS system. The best I can help with is giving you the wiring diagrams for both the US spec bikes and Euro spec bikes. These are made by our member Tweety. Last edited by CruxGNZ; 07-01-2015 at 01:41 PM. I have an extra wire harness and took a couple pictures. I think the harness is from a '98. Hope this helps as well. I'm actually glad I took these pictures. When I blew them up, I noticed a gash in one of the wires! This is just what I was looking after... Except for the 2001 and newr bikes. I have an '02. I'll try to post a couple pics for you tonight. OK Here are pics of each side of the connector. Hope this helps. Last edited by CrankenFine; 07-02-2015 at 07:38 PM. CrankenFine, You might have saved a day (or two... ). Thank's a lot. Very good photos. If this don't help then at least it is not because of lack of support from you guys! 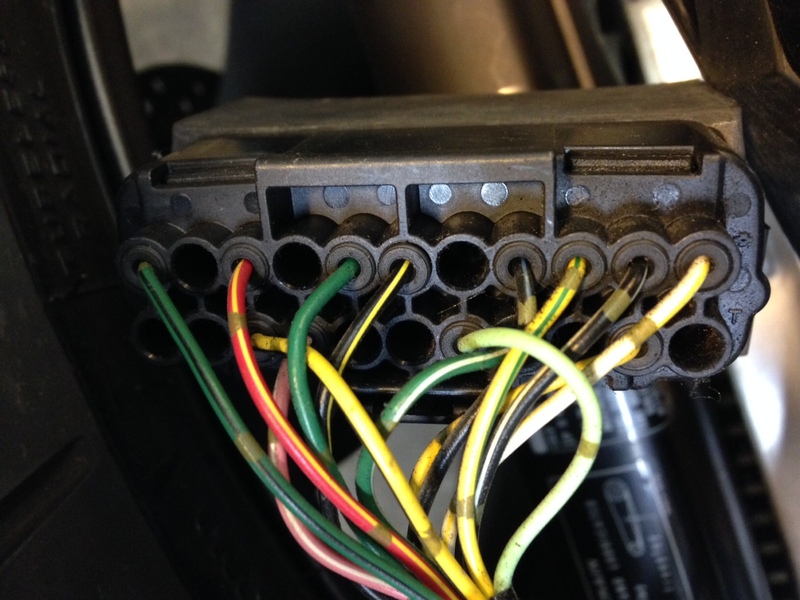 At the first look there is differencies in the wiring. I'll make more thorough investigation on this in the weekend. The bike is running now with US-NON-HISS ICU. 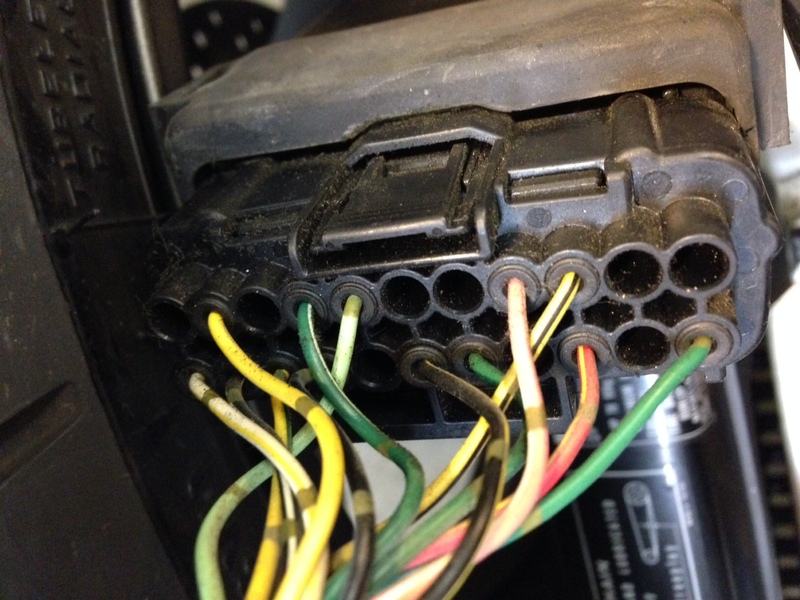 There was one (yellow) pulse generator wire in different pin in my (EURO-socket) bike. Once I changed that got good spark and got the engine running. So, CrankenFine, Thank you very much for your effort. The pics you send were really the key to solve this issue. Guess this means we could add HISS to US bikes if desired? You could, but it is more complicated than removing the HISS. Otherwise this modification is quite straightforward and could be done in one day. There's a map I made of both of the ICU sockets to help to see which pin goes to which pin.